King Abdullah, the leader of Saudi Arabia, recently announced that women will be able to vote and stand in the next local elections in the country that are expected to take place in 2015. This will be the first time Saudi women will be able to do so.Saudi Arabia is a monarchy, where the leader of the country is the King. The King is not elected by the people. Instead, the role is passed on within the same family. Various tribes ruled the area that is today called Saudi Arabia. 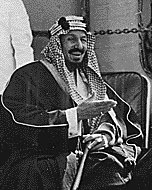 In 1932, Abdulaziz Al-Saud conquered and united the tribes and formed the country of Saudi Arabia. He became the first King of the country, and was the King until his death in 1953. He is believed to have had over 30 sons and over 20 wives. All the Kings after him have been his sons. Saudi Arabia is governed according to Islamic law. The country has a religious police that makes sure that the laws of the religion are followed. Two of the holiest cities in Islam (called Mecca and Medina) are in Saudi Arabia. When Saudi Arabia was first created, there weren’t many natural resources in the country since a large part of the land was a desert. However, soon after the country was founded, oil was discovered, which made Saudi Arabia a very rich country. Today, the country is one of the biggest oil producers in the world. The capital of the country is Riyadh and the official language is Arabic. Women don’t have the same rights as men in Saudi Arabia. They are not allowed to drive. Recently, some women broke this law, and many of them were stopped(Is stopped the right word?). Most women cannot leave the country or get a job without the permission of their male guardian (who is their father, husband, brother, or son). When women go outside their homes, they are required to cover their bodies and head with a veil, usually black in color. Many also cover their faces (except their eyes). Being allowed to vote in the next elections gives Saudi women more rights. Women in the United States were allowed to vote in the presidential election for the first time in 1920. New Zealand allowed women to vote in 1893, and France in 1944.